He went on: “But if you’re fascinated by the politics of Westeros, as many of my readers seem to be, you should enjoy it. As the title suggests, ‘The Sons of the Dragon‘ chronicles the reigns of the second and third Targaryen kings, Aenys I and Maegor the Cruel, along with their mothers, wives, sisters, children, friends, enemies, and rivals.“ So, yes, Martin knows you’ll gobble up just about anything he puts out. 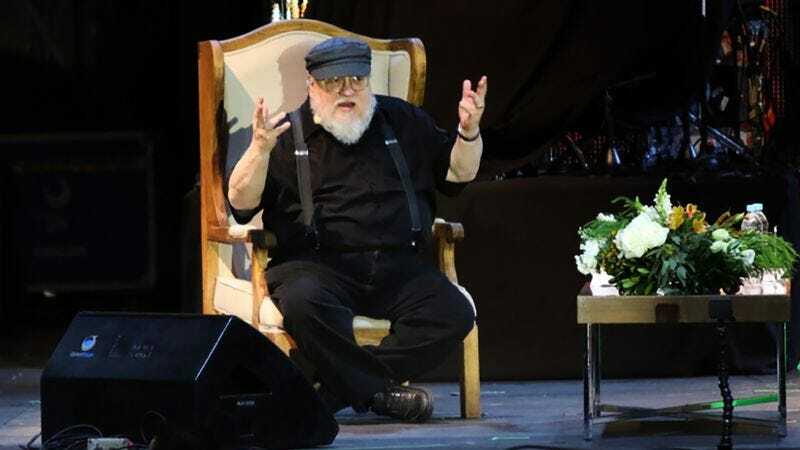 Recently, he speculated that The Winds Of Winter could be out by the end of the year; The Book Of Swords has a release date of October 10.